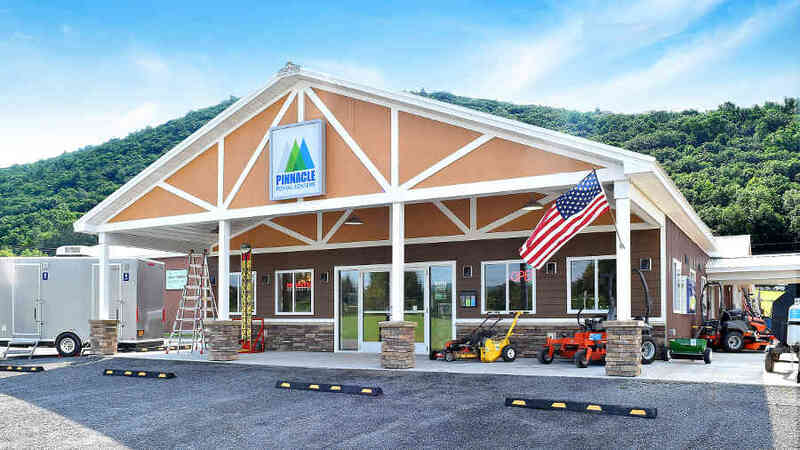 Pinnacle Rental Centers is your premier, local and family owned, equipment, tool and party rental store in Western New York. Our 20-plus years of experience enable us to help you select the right equipment for your project, party or event. We do what it takes to make your project, party or event a great success! Whether you are renting a backhoe or a shovel, it will be in top working condition. Homeowners, contractors, and landscapers trust us for their tool needs, from compressors and aerial lifts to earth moving equipment, floor care equipment to landscaping tools. Having a wedding, family reunion, prom, birthday, or graduation of any kind? Pinnacle Rental Centers is the place to make your event incredibly memorable with all your party needs. Find the equipment you need by browsing our online catalog, then give us a call to complete your reservation. We are standing by to be your partner in all your projects, parties, and events. We make any project possible! Just remember no project is too large or too small - So give us a call or stop by - our rental specialists are here to help! We Make any Project Possible!